Your dog is part of your family. Pet insurance allows you to make decisions easier. The first question that dog owners ask me is whether I have pet insurance or not. The second question is whether I think they should get pet insurance and the third is what kind of pet insurance I should get. Do I have pet insurance? Let’s talk about the first questions “Do I have pet insurance?” The simple answer to start is YES! Why ? In my stories of Jackie I talked about not getting her pet insurance when she was a puppy, based on the assumption (which proved to be wrong) that I could afford a certain amount of veterinarian bills per year. However in Jackie’s case she seemed to have more than her fair share of dog illnesses to contend with. It started with her tearing ligaments in her back legs 5 times which resulted in her getting one back knee replaced and continued with her developing Cushings disease and also going for laser therapy for her arthritis and deterioration of her spine. If I would have had pet insurance to begin with I wouldn’t be worrying about the sizable pet bills. That said, Jackie is part of our family and we will make sure that she gets whatever help she needs to improve her quality of life. To get Jackie pet insurance now since she has had a lot of things happen to her doesn’t make sense. 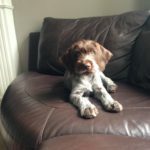 When Miya and Meesha came along the breeder had them come home to us already signed up with pet insurance (PetSecure Pet Health Insurance). There was no question about continuing the policy for our dogs. When Miya got sick (see post “Miya gets really sick for the first time with a virus” ) instead of worrying about the discussion with our Veterinarian about a bill, we could focus on Miya and getting the best help possible for her. The relief of not worrying about “how much will this cost” made sure we provided our pets with the best care. To answer the question again, “ Yes we have pet insurance!” We will always get pet insurance for our dogs. I think I answered this in the above section of “Do I have pet insurance?” but I will provide you with more reasons to get your dog insured. Every family has insurance of some kind. Whether it be home, car or medical insurance. So why not having your pet insured? Having insurance helps you and your family to pay for large, unexpected or unplanned expenses that could occur to your pet which without insurance you would have trouble paying for out-of-pocket. A few years ago, a friend of mine’s King Charles Spaniel woke up and couldn’t get off the floor. Little Dudley couldn’t even move. Her dog was only two years old and her son’s best friend. They took Dudley to the veterinarian and were immediately told to take him to University of Guelph pet emergency. Her veterinarian called ahead and said they were coming. Well, Dudley had Degenerative myelopathy which is the general medical term that refers to the disease of the dog’s spinal cord or bone marrow. 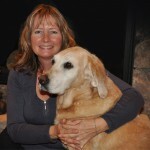 Dudley underwent Magnetic resonance imaging (MRI) and a number of other tests. Can you hear the bill mounting? In the end Dudley had emergency surgery to fix his spine. The bill came to $25,000. Throughout this whole ordeal there was never a thought of not providing the best care for Dudley. It also helped that the family had pet insurance. Dudley to date is happy dog living a wonderful doggie life. Perhaps you are now thinking, what type of pet insurance and which supplier will fit your family’s needs. 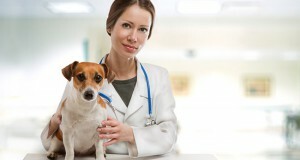 Our next post will discuss the different options of pet insurance. 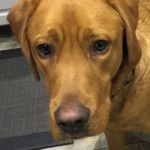 How pet insurance works and what is covered.